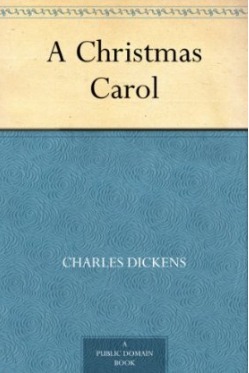 The Christmas Carol by Charles Dickens – It's Time to Read! Ebenezer Scrooge has always hated Christmas, but in this particular Eve, he’s given another reason to be wary of the holiday: the ghost of Jacob Marley comes to visit! Clad in heavy chains and burdensome weights, Marley’s ghost warns Scrooge that three spirits will visit him over the next three nights, each with a ghastly storyto share. Will Scrooge’s ghoulish experience teach him to embrace the spirit of Christmas, or will he say “bah humbug” to the holidays for the last time? This isn’t the first time I have read this classic, but I’m sad to say, it is one of the few novels by Charles Dickens I have read. You can read my review of this novel from 2008 here. My thoughts about this book haven’t really changed. I am still giving this book top marks. It is a classic Christmas read that I highly recommend. This is probably a story that you already know – Scrooge is an angry man who hates Christmas, good will, family etc. He has an unexpected visitor who warns him that he will be visited by three spirits during the night of Christmas Eve. These ghosts show Scrooge the past, the present and a possible future. Will these visits soften Scrooge, or will be end up like Jacob Marley – a ghost weighed down by heavy chains due to the decisions he made in life? In 2008, my favourite character was Fred, Scrooge’s nephew. This time it was Scrooge who was my favourite. I enjoyed reading about his transformation; seeing the man behind the grumpy mask. His memories were sweet and how he started to care was just lovely. I did like Fred too though! This book can also be found on Rory Gilmore’s Reading Challenge. I part read this book, part listened to it. Whilst I was listening to it, I was knitting a cardigan for my daughter. If you would like to see my progress on the cardigan, please visit Katie Creates. Pingback: the rory gilmore reading challenge | autumn, daily.